The late Venerable Ledi Sayadaw was a highly developed and respected monk in Burma, both in pariyatti (intellectual/ scriptural knowledge) and in patipatti (practice/ meditation). He lived from 1846 to 1923. He is also known as the first monk there to teach Vipassana meditation to lay persons (people who are not monks). One of his leading students was a lay farmer Saya Thetgi, who the Sayadaw instructed to also teach others. One of his students was Sayagyi U Ba Khin, the great lay teacher of S.N. Goenka. 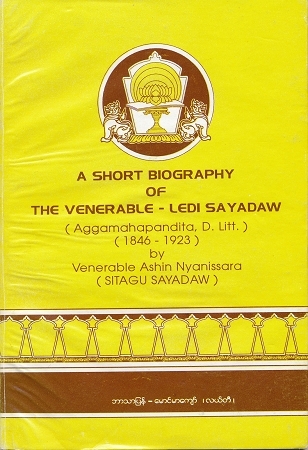 Following is an introduction to Ledi Sayadaw and this biography by Goenka. There are no words appropriate or adequate to express my feelings of deep gratitude towards my great-grand-Dhamma teacher, the most reverend late Ledi Sayadawgyi. He was the most brilliant star in the galaxy of Dhamma teachers of this age, both in the fields of Pariyatti as well as Patipatti. The present book on his life is written by Agga Maha Saddhamma Jotika Dhaja Venerable U Nyanissara of Sagaing Sitagu monastery. He is one of the leading personalities in the present day Myanmar Saṅgha. 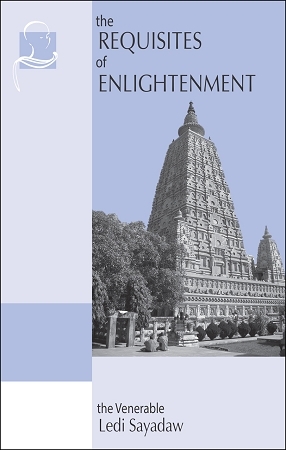 It is all the more a pleasure to learn that this book was written while Venerable Sayadaw visited Dhammagiri, Igatpuri (India) to practise the Vipassana technique as taught by Ledi Sayadaw. May the readers of this book get inspired to walk on the path of liberation and attain real peace. This ebook is available as a PDF eBook, mobi (Kindle), and ePub (iPad, Android, Nook, other e-readers). Use the Download buttons above to get it.